SmarterTools, Inc. recently announced their release of SmarterMail 7.x Mail Server. The release of their most recent software contains a new design interface in addition to other add-ons that grant the use quicker access and to communication, synchronization tools and collaboration. SmarterMail allows users to find and utilize a plethora of built-in features to improve productivity. Also, this software was developed with the goal of a more stable environment and increased performance of the mail server. These enhancements allow system administrators to easily mange the mail server. 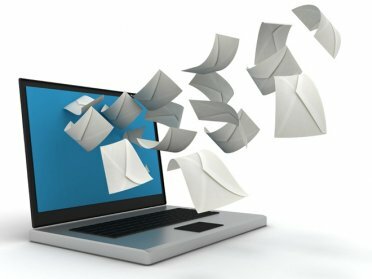 The synchronization center helps users with other applications and software that can be synchronized with the mail server. Upon access, users will be able to view different protocols and a list of the current connections. Another new feature is file storage. Files that are too large to be transferred via email will be uploaded to the server and shared through a public link. SmarterMail 7.x also has a feature that links messages to tasks. Each task displays start and due dates on the calendar and are available in the special tasks screen. Follow-up flagging is important in all email programs. Emails with a red follow-up flag can easily be accessed from the special-view follow up selection. Another helpful feature is mailbox migration. This allows new users to import contacts, emails, tasks and calendars from another email provider. This tool makes it easy to transfer these features. Finally an enhanced contact view givers users the most recent messages, attachments and appoints for each contact. SmarterMail 7.x is a fairly innovative piece of software. It takes the normal email functions found in an application version, enhances them and adds them to the web. This software has many advantages with numerous features and will be a great addition to any business. With constant upgrades and patches, the software will improve productivity and further help businesses. Modern email hosting plans designed for businesses that cannot or simply do not want to spend their precious time and resources on setting up and managing an internal messaging infrastructure….